Plus Size Kitten: Blog Birthday Contest: Interview with the Winners! Blog Birthday Contest: Interview with the Winners! The first 2 people who met me at Chillis Bar & Grill to collect their prizes were Cai Wing & Serene (but they left me there alone after their bfs come! betrraaayeerrr!!!). Haha anyway Here's a sneak peek of what happened yesterday! There was 7 winners who brought their hubby/bf/friend along to watch the preview of Monsters VS Aliens 3D movie preview at GSC BU. 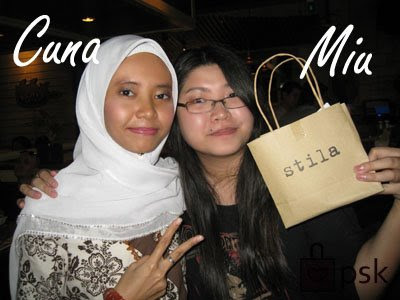 All seven winners received a Stila Goodie Bag that's worth rm50! Meet the winners! Thank you all for being such big fans of whatever that's going on here! haha!!! I know I was being so naughty to pull a interview on the spot! you girls are so sporting :) I love you all! The interview video clips are such wonderful memories of the event yesterday and I love how cute u girls react to my "interview". Don't be shy! It's a candid video ^_^ i don't want Oscar winners just u girls! muaks! 1st movie after 3 years!!! can cut ah? shy la, can do again ah? The interviews are so funny! especially when I attack them with questions (bad miu). Each person is so uniquely different and special in their own way. As u can see, I have found such sweet friends (or pretend to be my friend???) from blogging! Cai seriously I don't need ask u any questions u were a natural infront of the camera (are u actress???). Emily is really a cute teenager squeeling when she saw the mystery gift! it's a moment I will never forget! Angelzoe, heyy i know u love me lots!! somore mention i am stila spy!!! Harim such a sweet girl! posing maut before I even start recording! 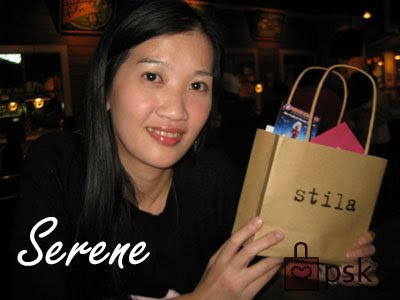 Serene so demure and lady like, your husband is so lucky to have u! love your long hair! macam model only! Cuna so shy and made me laugh so much! her bf is awesomely cool and supportive of her! jealous!!! 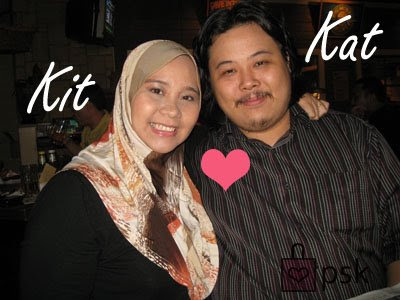 Kitty ey babe u r so fantastic in berlakon man!! when I ask u what u like about miu's blog u suddenly become like Oprah Winfrey?? Whoa I see quite a number of tudung-clad ladies. 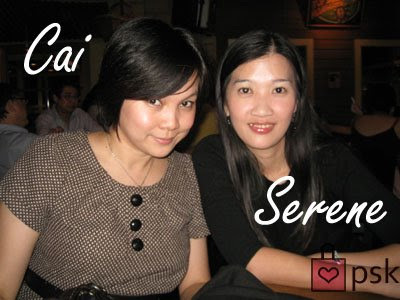 Prove that we Malay girls do know how to look pretty, eh? weih we're your friends la... bukan pretend2 punya. Jamie..... Did you get the answers out of them that you wanted what a crazy interviewer you are! yesterday i pop by stilla counter at gardens, there are still some stuff left over there. bougth some eye shadows and a brush for blending no.2, when i get back to try out the brush n i realise it was so different from the tester brush at the counter. the brush i got is a paint brush maybe u can give a shout out to your readers about it, the fur of a paint brush n facial brush is diff and i'm pretty sure that what they are selling is a paint brush as the way of the fur been place is different. so it doesnt worth that price, i think i'll take mine back . hahaha..seriously i tot u were snapping my pictures! anyways, u r such a darling person too..